ACM SIGGRAPH is delighted to present the 2015 Significant New Researcher Award to Johannes Kopf in recognition of his pioneering contributions to the fields of digital imaging and video, particularly his work on gigapixel panorama viewing, hyperlapse generation, image completion, and image upsampling and downsampling. 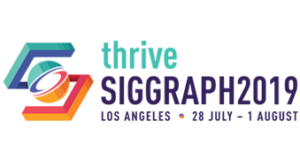 The ACM SIGGRAPH Significant New Researcher Award is awarded annually to a researcher who has made a recent significant contribution to computer graphics and is relatively new to the field. The intent is to recognize people who have already made a notable contribution very early in their careers, and are likely to make more. Previous award winners include Paul Debevec, Steven Gortler and Mathieu Desbrun. Johannes’ problem selection is especially creative, and often far afield from other efforts in the area. His 2014 paper, “First-Person Hyperlapse Videos,” brought together technologies from both computer vision and computer graphics. The results were able to successfully convert long-duration sequences from a wearable camera into stable, fast paced and surprisingly watchable video. Johannes’ 2011 paper, “Depixelizing Pixel Art,” converted low-resolution bitmap art into smooth, high-resolution graphics. A related 2013 paper, “Content-Adaptive Image Downscaling,” solved the opposite problem, converting high-resolution 2D art into low-resolution bitmaps that were much clearer and crisper than traditional image downsampling. Johannes’ 2007 papers, “Capturing and Viewing Gigapixel Imaging,” and “Joint Bilateral Upsampling,” showed how to construct and view large wide angle images, as well as demonstrating the use of bilateral filters to upsample low-resolution solutions to full scale images in several imaging domains. This algorithm continues to be widely used. In 2010, his paper “Street Slide: Browsing Street Level Imagery,” showed how to construct on-the-fly multi-perspective panoramas from street level imagery. Johannes joined Microsoft Research in 2008, after completing his PhD at the University of Kostanz. He previously completed B.Sc and M.S. degrees from the University of Hamburg. He has served on numerous program committees for SIGGRAPH and SIGGRAPH Asia. 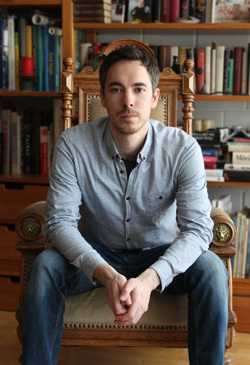 In 2013, Johannes was honored with the Eurographics Young Researcher Award. We are pleased to recognize Johannes’ creative research with the 2015 Significant New Researcher Award.